Lucky Ali – the Ballad king of Indi pop graced the stage at Alankar - The Distinguished Lecture series and enriched the audience with his thoughts & his life journey. Right from his childhood days at boarding school in Mussoorie to the release of his first album, Mr Luck Ali walked down the memory lane and engrossed the audience with anecdotes. Much to the delight of the audience, on huge demand Mr. Ali treated the audience with songs O Sanam.., Gori Teri Aankhen… & Aa bhi ja..
Mr. Lucky Ali was sent to boarding school in Mussoorie very early in his life – in fact at the age of two and a half years, he was one of the youngest kids there. Mr. Ali believes, the experience at the boarding school was one of the best in his life. He made friends there who are still in touch and doing great in their respective areas. At the age of 10, Mr Ali came back to Mumbai (then Bombay) and enrolled at the Bombay Scottish School where he was classmate with Mansoor Khan and Kumar Gaurav. He soon moved to the family farmhouse in Bangalore. He would often run away from his home in Bangalore to his mother’s place in Mumbai. His father had about 150 horses in the farmhouse; this interest passed on to Mr. Ali and he went to Kentucky, USA to learn horse breeding. On coming back, Mr. Ali tried his hands at different things - he learned his cinema from Shyam Benegal and believes this was a big education for him. He later went on to work in Oil rig for 6 months and was in the Carpet business for some time. He soon heard his calling in music and went on to England to record his first album. Though faced with some initial let downs, the album eventually turned out very well – with recording being done at the Trinity studio in London and the video shoot in Egypt. Mr Ali believes he had put in lot of love & affection in making the album & this is what he received back when the album was released & became a huge hit. Talking about his father, Mr. Lucky Ali mentions he always had a lot of respect for the way his father led his life. He said he sometimes hated his father when he was strict, but when he looks back now – he feels what a good friend he was. His father loved the space he was in; he was clever and had answer for everything. Perhaps, this was also the major driving force & inspiration for his success. The fact that he achieved something in his father’s life gives him a lot of satisfaction. Mr. Ali shared a key learning from his father - “Main ka ghar khali hota hai”. And therefore it is important to share love and affection with others. Mr Luck Ali believes that if you don’t fail, you cannot fully appreciate success. Success is again different for different people. For him success is to be able to sleep at peace at night. This comes from an uncluttered mind. It is important to love, appreciate & share with people.When asked to comment on his take on Luck, Mr. Ali believes Luck follows perseverance. When asked to comment on the present trends in bollywood, Mr. Lucky Ali feels that with the new generation of actors & directors, Indian movies are moving from theatrical towards more cinematic performances – which is more realistic. With these thoughts, the free flowing session came to an end with a thundering applause from the audience. 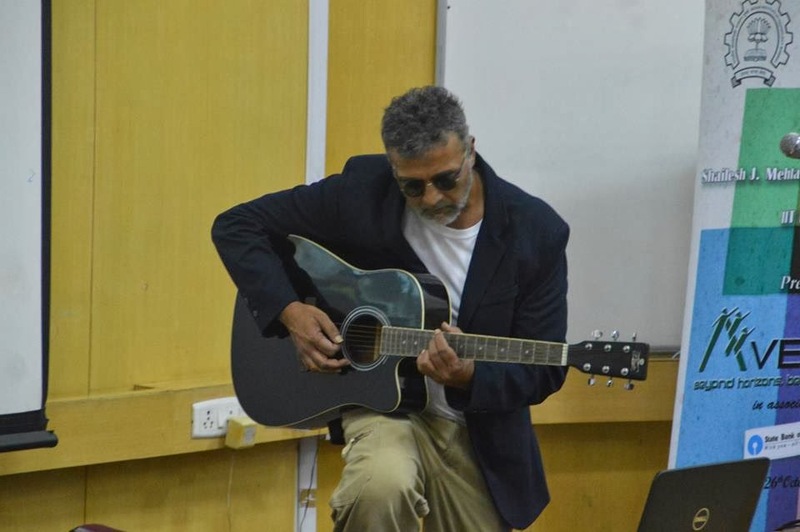 Wanting for more, the audience requested Mr. Lucky Ali to come up with a new album soon. Mr. Lucky Ali was presented with a memento for gracing the occasion and enriching the audience. good These reports can become in the kind of image and movies. snapchat update viewed the click or not really. Users can publish nice. good you include downloaded the incorrect one. check this site once this is done we enter the application and give it You TV Player Download App nice. Get Direct Access to Downloade page forIOS 10.
awesome Fearless Photographers, Wedding journalist Association and therefore Wedding Photography in Bangalore photojournalistic approach and use of accessible natural lighting leads to great. you can check check this website download from here. Great also wait on a while until it is done. http://vivavideomaker.com Select any one of the themes readily available in the Fine.